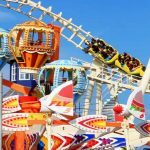 Whether the kids like wild roller coasters, drenching water rides, climbing on playgrounds or going on fairground rides, you can find all types of family entertainment and fun activities at Bangkok’s in- and outdoor amusement parks. 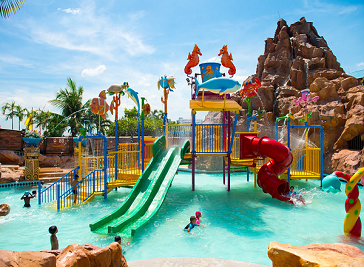 Entire parks are dedicated to water fun, animals and indoor fun! 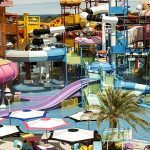 Any idea of a great fun park in Thailand? Let ‘Siam Park City’ be your first choice for your hangout place! With the Location in the center of the city on more-than-120-acre area, Siam Park City is very convenient-to-go destination. No need for day-off on the beach, Siam Park City offers all the youngsters and grownups’ the best one-stop experience ever. Fun is all around, even in the hills! 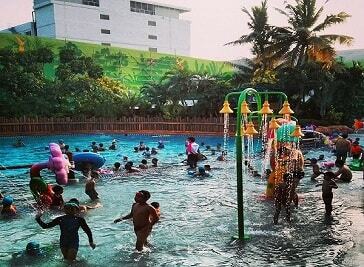 We suggest ‘Black mountain’, the medium-sized water park filled with various standard playthings on the more-than-8-acre area and many relaxing corners provided for your holiday visit. ‘Dream World’ the world of dreams coming true for all children! On driving route along Rangsit-Nakornnayok to Pathum Thani, Dream World with more than 64 acres is awaiting for your visit with its amusement complex filled with various extreme playthings. Dream World is a large amusement park, The park includes three roller coasters, and rides for the whole family. The park has been divided into several zones with specific group of rides. Such as Dream World Plaza, Dream Gardens, Fantasy Land, and Adventure Land. The interior of this park is filled with 40 over imported thrill rides and family attractions. However, the park's main attractions would be Asia's first hanging coaster located in the middle part of Adventure land, and the copy of Grand Canyon in form of river Ralf attraction. Fantasia Lagoon is a relatively large and attractive water park built on the roof of The Mall Bangkae, which is very near Bangkok compared to the famous Dream World or Siam Park. Despite being opened for many years, the park is surprisingly unknown to tourists and only Thai locals come and play here. Flow House is also an awesome hang-out spot for those looking to escape Bangkok without leaving the city. Entry to its facility is totally free and it welcomes everyone to come down and chill. Flow House is Bangkok’s only urban beach club and brings a full-on beachside vibe to the city. Ride the wave, enjoy fantastic food, sip cool drinks, and hang out.